Post ZoukOut blues and withdrawals no more – Ola’s got you covered! The good times don’t have to end with our special Bloody Mary Station where you can get creative and customise your Bloody Mary just how you like it. 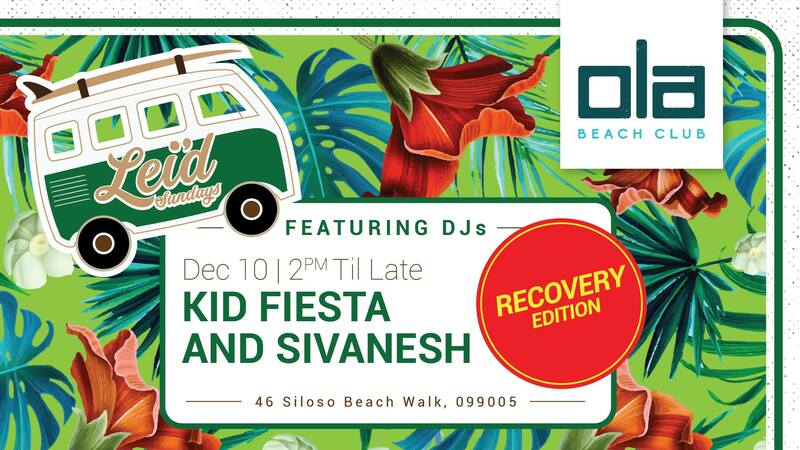 We’re dishing out the all day breakfast, with DJs Kid Fiesta of Silent Disco Asia and Sivanesh from CÉ LA VI Singapore throwing down soundtracks for the ultimate Sunday beach recovery party!